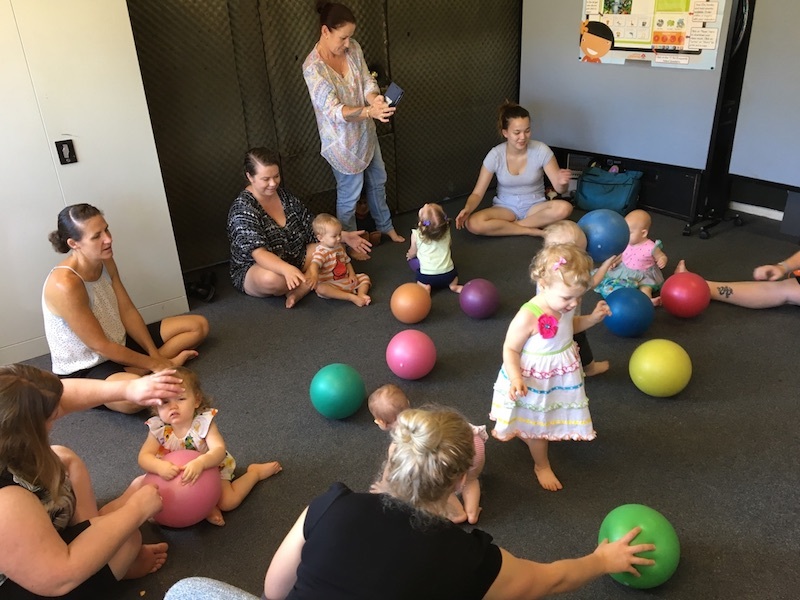 Come along to our weekly class & enjoy lots of musical activities, have lots of fun, all while spending one on one time with your precious little one. This is a great class to do with mother’s groups or new friends. This class is specially written for our tiny tots. 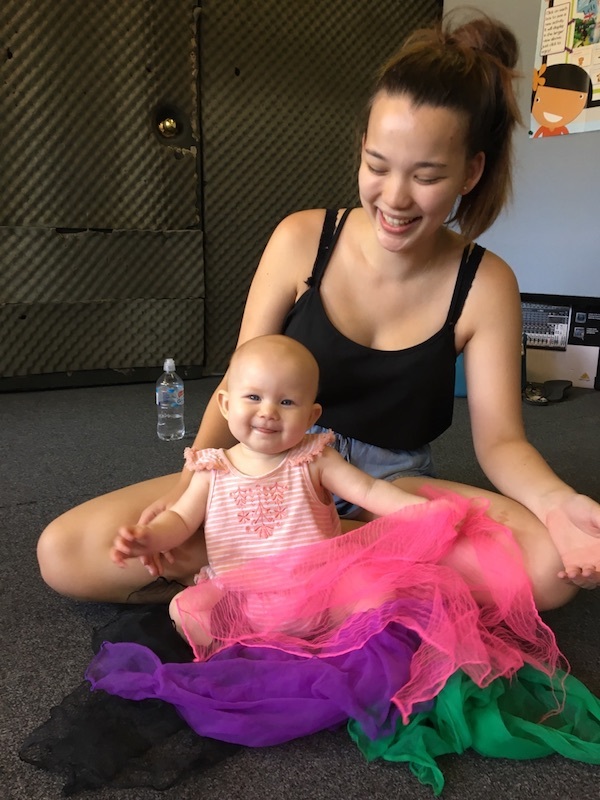 Create some wonderful memories as you begin a musical journey with your baby that will last a lifetime. 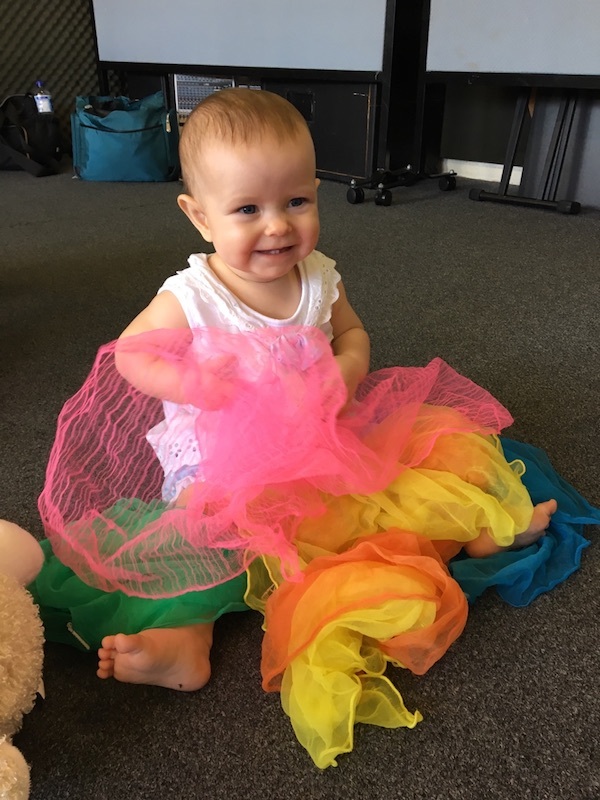 Enjoy swishing with our scarves, moving gently around our room or using different musical instruments to bring a squeal or coo from your baby. 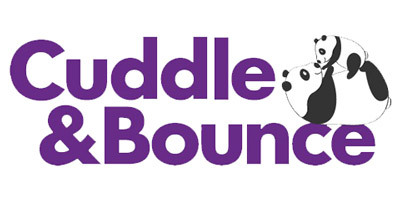 This is one of the only classes that fosters all areas of your baby’s development at this early age. As a welcome gift, we have gift vouchers right here for grandparents, family or friends to give. The gift of music soothes, calms, wears out, & make such a lovely difference so early in the life of your little one.